Let’s start your journey by discovering some of the best aspects of Saigon. In general, District one is considered to be the converged area with an excessive number of tourist attractions. The first destination should probably be Ton Duc Thang Street which lies right next to Saigon River is supposed to be the most impressive place that arrests a huge number of both local people and visitors to come and chill out. There are a plenty of good restaurants and hotels situated on the sides that propose tourists with the most fabulous view. At the same time, opting for a boat drifting along Saigon River while enjoying dinner will obviously be a thing that every single visitor desire to experience. The next destination goes to the Notre Dame Cathedral which is known to be the symbol of Saigon. 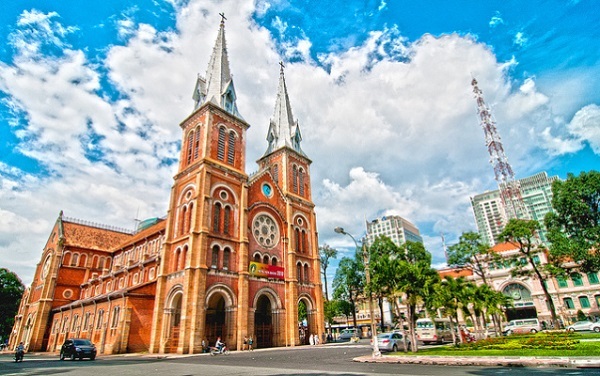 The Church located right in the center of the city which represents Saigon’s characteristics with unique, authentic French culture while it still affords to be the outstanding spot among modern buildings. 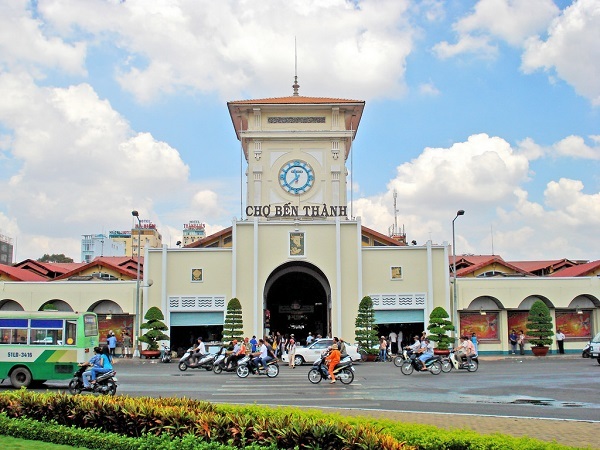 Additionally, Ben Thanh market is also worth a visit which is often compared to Dong Xuan market but it offers tourists with a wider range of products purchased there. It was completed in the 19th century and regarded as a historical witness of Saigon. Not very far from Ben Thanh market is the “Foreigner Street” consisting some surrounding roads such as Pham Ngu Lao, De Tham. Also, China town shouldn’t be a miss too. If you have a chance to discover China town in Singapore or Malaysia, it is a big yes to go for that you can see how different they are in each country. 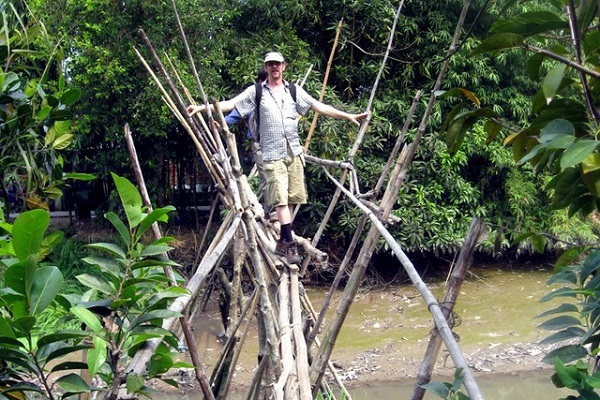 The most exciting part of the trip is probably spending time on Mekong Delta for at least one day. 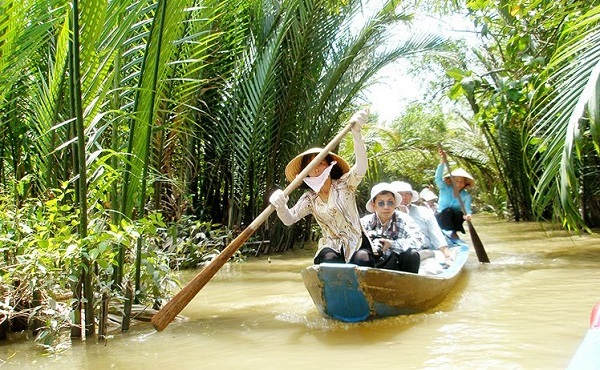 Initially, tourists will have the best time floating on the river and passing by Cai Be floating market. Here, visitors can see with their own eyes how local people selling and buying goods on the boat. You can find any kind of products here whether fruits, vegetable or even food such as noodle, rice, drinks, etc. Buy some fresh fruits and taste some local food right on a boat is an exceptional experience for sure. Next, travelers will be taken into some traditional villages where people produce their conventional products for decades. Visitors will not only have a chance to see how the product is made from the beginning to the end but also taste such things like green rice flakes, honey, candies, etc. Tourists are encouraged to buy some of their favorite specialties or souvenirs there as a gift for your friends and family. Then, the boat will head to some verdant islets on the way where is blossomed with fresh fruits and trees. Coming here, tourists can visit these fruits farm and eat a lot of fruits right on the trees only with a small fee paid for the gate entrance. Stay over lunchtime here is not a bad idea. 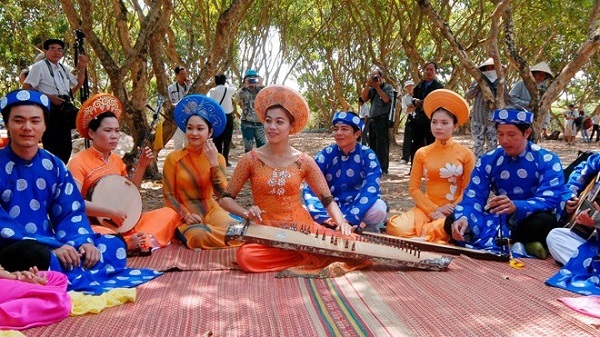 It is because nothing is better than enjoying a meal prepared by local people on an islet surrounded by bunch of trees and listening to Vietnamese music performed by people living there too. It is the heaven, especially in the summertime, you can also opt for having some relaxing time on a hammock in the garden there. Then get ready to be back to discover Saigon at night time or if your trip is expanded longer, a cruise overnight is definitely a must.